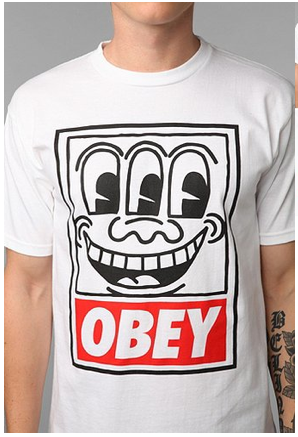 OBEY just released a limited edition collection of clothes---a collaboration with the Keith Haring Foundation. The collaboration started when OBEY had the privilege of looking through the Haring archives. Keith Haring was an artist and social activist whose work responded to the New York City street culture of the 1980s. This soft cotton tee from the limited edition OBEY X Keith Haring collection is swagged out. 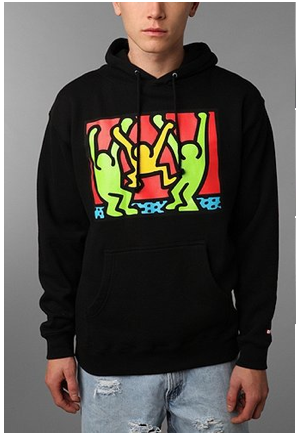 It features a printed logo graphic inspired by Haring's iconic Three Eyed Face design. The OBEY x Keith Haring collection is now available at Urban Outfitters and in July in fine retailers around the world and at obeyclothing.com.